New York-born Sobhy became the first American-born woman ever to reach the final of this tournament back in 2016 – ultimately losing out to World No.1 Nour El Sherbini in the title-decider – and she moved up to a career-high World No.6 ranking a matter of months later. 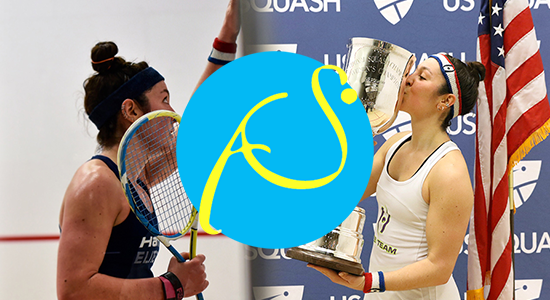 However, a ruptured achilles – suffered while playing compatriot Olivia Blatchford in the semi-finals of the Ciudad de Floridablanca last March – halted Sobhy’s development and forced the charismatic American into a gruelling recovery process. “This has been the most difficult journey I’ve ever had to encounter so far. When people told me the recovery process takes a long time, I had no idea it was going to be this difficult. It’s been 10 months and I still can’t do a single leg calf raise, plus the atrophy on my leg is beyond absurd. “Everybody, and I mean everybody, is coming to watch my first round match on Sunday evening. It is so amazing to see how much home support I have from the fans. They all want to see me get back out there again.